Frontier Basement Systems provides expert rigid foam insulation installation for a variety of purposes in the attic, and we can help you get the right solution for your home. If you're looking to improve your home's energy efficiency and comfort with attic insulation, call us today for a free estimate! 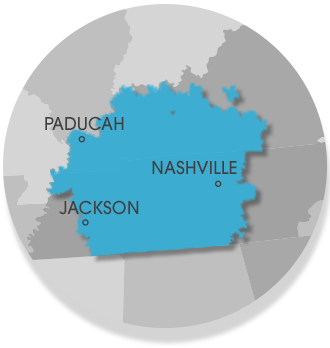 We offer all our insulation services in Clarksville, Nashville, Jackson and nearby. At Frontier Basement Systems, we use Foamax® rigid foam insulation to upgrade your attic insulation. Foamax® is a polyiso rigid foam that comes with a reflective foil on the back to provide a radiant barrier. Polyiso rigid foam has the highest R-value of any rigid foam insulation. If you're looking to improve your home's comfort and energy efficiency, rigid foam insulation from Frontier Basement Systems is the solution you need. Our complete attic insulation solutions are designed to solve all types of energy problems in attics, helping you save money on your heating and cooling bills. Call Frontier Basement Systems today at 1-833-428-2988 or contact us online to get started with a free estimate on rigid foam insulation for your home. We offer all our insulation and air sealing services in Clarksville, Nashville, Jackson, Owensboro, Murfreesboro, Bowling Green, Philpot, Utica, Fayetteville, Marion and the nearby areas.